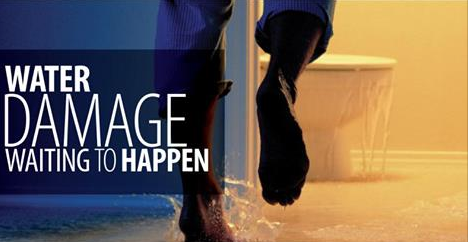 Water damage is often out of your control as a homeowner, whether caused from a natural disaster or broken pipe. There’s no doubt in our minds that, by now, you’re familiar with the dangers of leaving excess water to sit - especially for extended periods of time. We’ve previously covered how damaging it is to your belongings, the entire structure of your home, and can even be detrimental to your health! We know how upsetting and scary this whole process can seem - so we’re here to help you along the way. The first step you’ll need to take, is to call a professional to remove all of the water from your home immediately. The primary goal when restoring a home after it’s been damaged from floodwater (or any excess water), is to prevent (or stop) the growth of any mold, mildew, and other bacteria. The earlier water is removed, the easier it is to prevent these dangerous factors from your environment and belongings. Experienced technicians are trained and equipped with “wet” vacuums and pumps with a high amount of suction to properly dry every surface. When carpet flooring has been affected, they’ll use large fans to reduce drying time and further prevent bacteria growth. Although it may be tempting, it’s just not safe for homeowners to make this determination on their own. Certain items can hold sentiments - but if damaged too much by the water, could continue to grow (and spread) mold and other bacteria. While many people think of salvaging their items after a tragedy like this, the flooring and even walls of your home may be overlooked. Carpeting is always pulled up to ensure that the padding (or subfloor) beneath it aren’t damaged beyond repair - but unfortunately, it doesn’t take water long to ruin them. If you’ve experienced flooding recently, don’t let the water damage take over your life - leave it to the professionals, we’re happy to help! Should You Clean Your Air Ducts?